Tampers are an often overlooked yet essential part of pipe paraphernalia. We fuss and argue over matches, lighters, pouches, bags, racks and stands but no one really seems to get that fired up over a tamper. 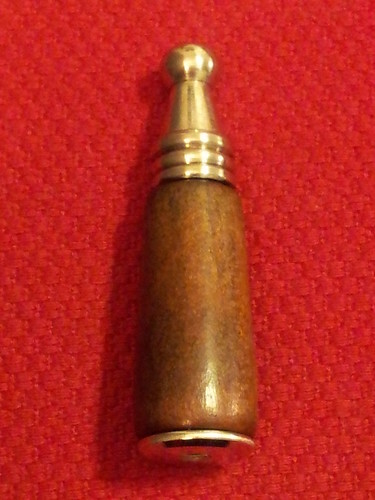 Perhaps it’s because just about anything can be used as a pipe tamper as long as it meets certain basic criteria – it must be long enough to hold onto while prodding the lit baccy in your bowl, and it must have a flattish, roundish lower end to facilitate an even tamp without scratching the the pipe. Many long-smoking competitors will be familiar with the “regulation” tamper, which is nothing more than a short length of hardwood dowel. Most of us, myself included, have at least one cheap and cheerful Czech pipe tool which has a tamper foot among its several appendages. I’ve also got a similar arrangement built into my soft-flame butane pipe lighter. It’s convenient – if I’ve got my lighter, I’ve got a tamper – but I wanted to add something a bit more stylish to my tamping repertoire. 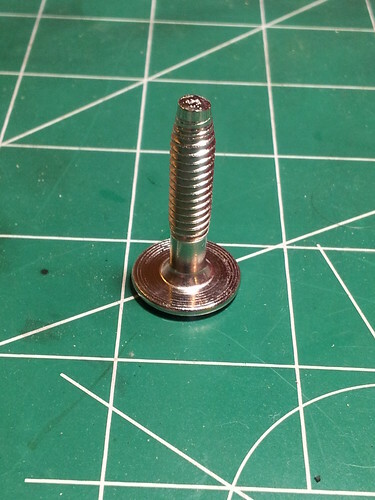 To that end, I went wandering around my local hardware store and came away with two rather simple components – a finial for a ceiling fan pull switch, and a bolt for flat-pack furniture a la IKEA. The bolt is 1-5/8” long, and the head is the perfect size to use in all but the smallest pipe chamber. Except for the Allen key socket in the head, it is also smooth and flat. 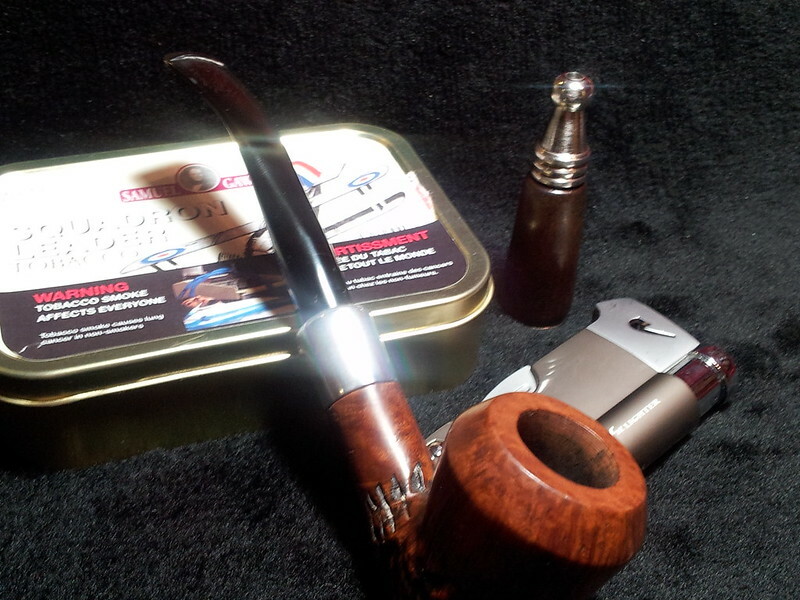 I think my pipe tobacco will forgive the slight interruption in the surface. The finial has a comfortable weight to it, and the wood barrel will be easy to strip and refinish. The only other materials I needed to pull off this project were conveniently already on my work table – sandpaper, stain and a bit of epoxy. 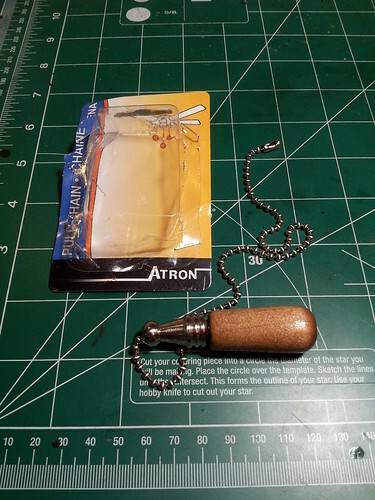 I started by heating the finial over my heat gun to melt the glue holding the chrome tip on. This allowed me to remove the pull chain, which I’ll keep for the next time my bath plug goes missing. There will be a hole in the end of the finial, which I will ignore for now. 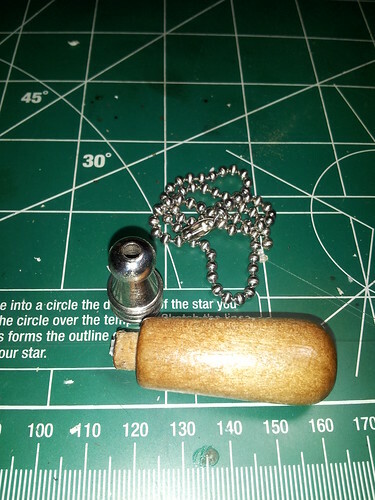 I drilled out the wooden barrel of the finial to accept the 1/4” shaft of the bolt. I did this freehand, which resulted in a slightly off-centre drilling which I had to correct with files so the bolt could sit flat against the end of the finial. Oops. I also squared off the rounded end of the finial slightly to allow a better match with the bolt head. Then it was a simple task to glue the whole thing back together with a bit of epoxy. When the glue had cured, I sanded the barrel to strip the factory poly coating and stained the wood a darker brown to match most of my pipes. A quick waxing on the wheel and I was done. 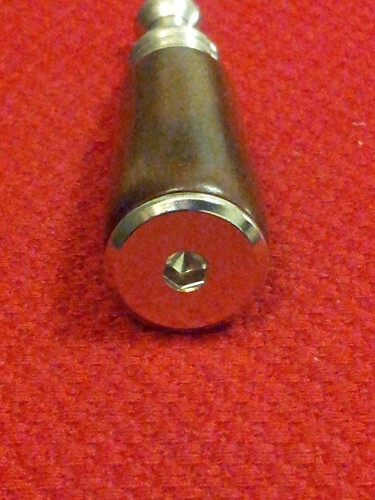 The new tamper looks mostly like a wooden bullet, but that suits my military background somehow. It’s heavy for its size from all the metal, but that also helps to give it a solid feel in the hand. It will make a handsome and useful addition to my pipe regalia. Nice tamper, Charles. Very creative use of those items. I love ideas like this – especially when they come out so nice! Cheers, Greg! I just couldn’t bring myself to pay $25+ for a tamper. This was a quick little side project that cost less than a couple of Starbucks lattes.